One of the very first things I research when I plan to visit a new place is coffee. Right after doing a sketch version of the itinerary, I type in google: “best coffee in [city/suburb]“. Sometimes I hit the jackpot and find really good recommendations, sometimes they’re just average. With Kyoto, I’ve found that Ogawa Coffee is the one that’s being mentioned on various websites the most. I was quite happy with the find when I discovered how close it will be from our hotel. 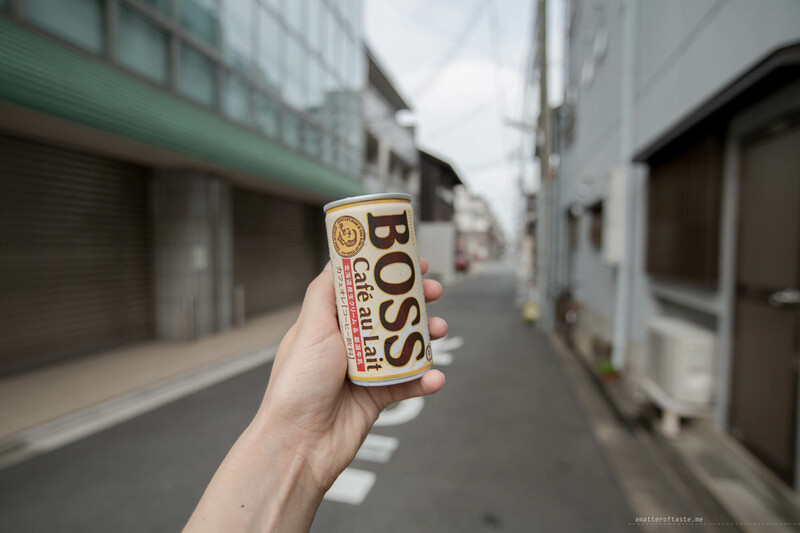 Fast forward to our time in Kyoto, 15 minutes walk proved to be too far on some mornings, so we all ended up drinking BOSS with most of our breakfasts. Once we’ve made our way to Ogawa, I wasn’t fully satisfied. The coffee is good (better than any canned coffee and much better than what you can find in other coffee places at Kyoto Station) but a little bit overpriced and the milk was way too hot every time. I was determined to find something better. That’s when I remembered I’ve seen an article about Coffee Fest Latte Art World Championship in Tokyo and I was almost sure the winner, Junichi Yamaguchi was making his magic somewhere in Kyoto. Quick search, look at the map and yes, I was right. % Arabica Kyoto. Their shops are in two very convenient locations. One in Arashiyama – that’s where you go to the famous Monkey Park and bamboo forest. The other one in the beautiful Higashiyama – near Kiyomizu-dera, Yasaka-no-to Pagoda, Kodai-ji and other beautiful temples and shrines. During our very few days in Kyoto, I’ve managed to visit % Arabica 3 times. The first one was the most memorable – as I walked there from the Nishiki Market, and was maybe 5 minutes away, I was caught in a summer storm. Stuck under a small roof, which eventually started leaking, I was really determined to brave the rain and get my coffee fix. Soaking wet, but happy to be there I ordered the biggest coffee I could. Made by the master himself, the coffee was excellent. And the very moment I sat down, ready to drink, the sun came out and the only reminders of the midday storm were my wet clothes and sad-looking hair. Nothing mattered. I had my coffee. % Arabica shops look sleek and modern – lots of white, concrete, glass with a touch of wood. Very pleasant, calm spaces. Big table at the Higashiyama shop also makes for a good place to meet fellow coffee lovers from around the world. Talented barristas (check out Junichi’s Instagram – he’s a great photographer too! ), great-looking shops, perfect coffee – % Arabica ticks all the boxes for me. A must visit in Kyoto! Love your photos and the article. I think both made me feel like I went on the search with you. lol. Thanks for sharing your experiences!